We've come up with some ideas to help you on your way to a better mental health culture, including a framework, adaptable Tool Box Talk, helpline packs, Mental Health First Aid training courses and much more. Though what we advise is just a guideline, it is vitally important that you do your bit for your workforce, so please use whichever method works best for you, make it your own and do what you can to make a positive difference in our industry. STEP 1: Change in the workplace starts with your management. Get the ball rolling by signing our Building Mental Health charter and by doing so you are making a commitment to join us in improving mental health in our industry. We will send you a copy of the charter to sign and proudly display to show that you are committed to making a difference. 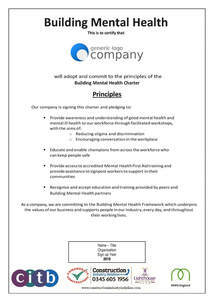 You can sign our Building Mental Health Charter by clicking the image on the right. Don't forget to encourage staff to download the free ‘Construction Industry Helpline’ app. This free mental health app will provide vital information, advice and guidance on many wellbeing topics including stress, anxiety, depression, anger and suicidal thoughts. ​STEP 3: ​Create an interactive Tool Box talk to raise the awareness of everyone in the organisation to the mental health issues we have and help educate them on identifying possible signs of stress, anxiety and depression and how to start the conversation. If you do not have a "Tool Box" talk already in place then download and use this template version. It comes with a guidance note and is fully scripted. Simply click on the image opposite and the link will take you to the download site. Please note: as it contains videos, the file size is quite large at 78MB. 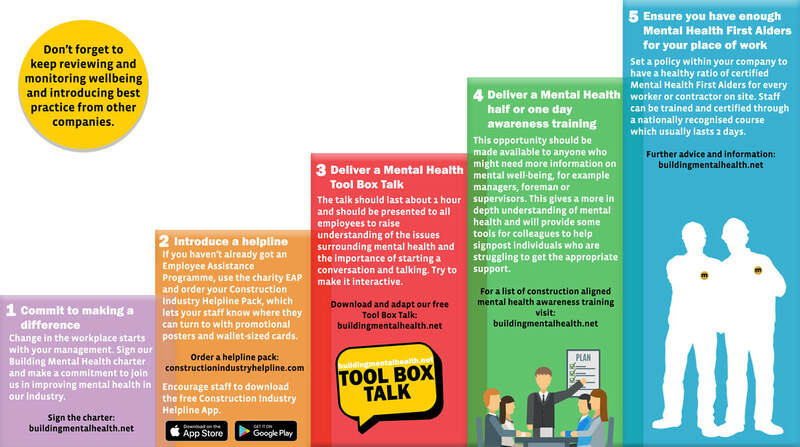 A Tool Box Talk is a fantastic way to deliver information to your workforce on mental health, educating them on the signs and how to start the conversation. If you don't have a Tool Box Talk already in place, then we have a template you can use and adapt to your needs. It comes with a guidance note and is fully scripted. Simply click on the image below to download. Please note: as it contains videos, the file size is quite large at 78MB. The following contacts and companies specialise in construction and have completed the CITB funded MHFA Instructor course. They would be pleased to quote you to deliver MHFA Training at your site. 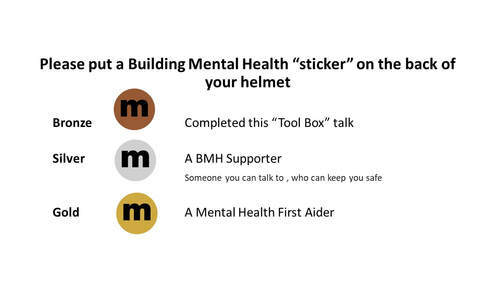 We recognise there will be a huge shortage of availability of training to accelerate certifying Mental health First Aiders on site, so we have been working with the CITB who have very generously funded a campaign to educate 150 Mental Health First Aid INSTRUCTORS within construction. Once trained these instructors will be able to speed up the roll out of this initiative. If you are a large company with many on site workers across the country it might be worthwhile investing in your own INSTRUCTOR for more information follow the link on the image below. 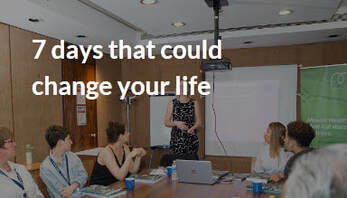 7 Days that could change your life. 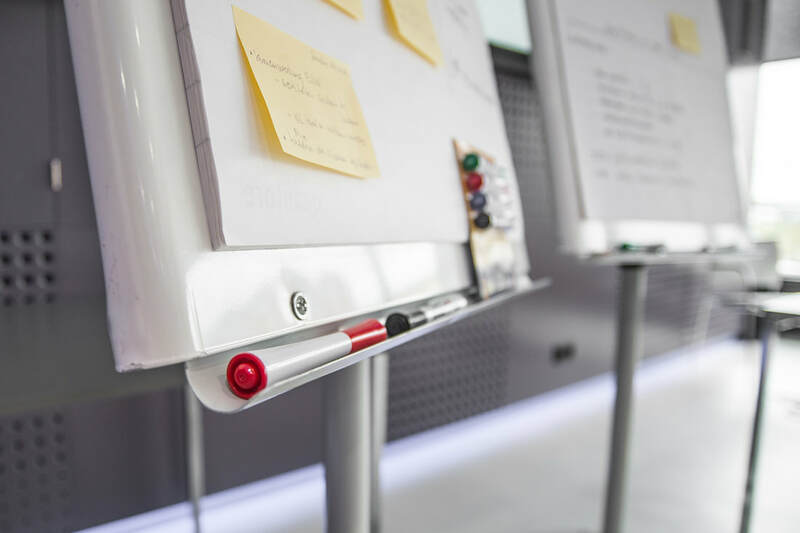 If your company is levy registered not necessarily a levy payer, then you can claim a fixed sum for to help subsidise the Mental Health Training you have undertaken. Get help by clicking the image below. 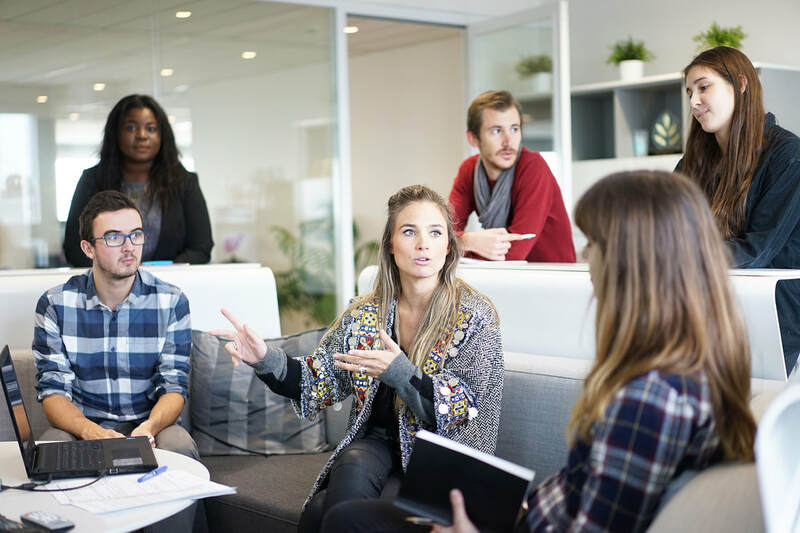 Here are a few other things you can apply to continue to improve and drive positive mental health and support in your workplace. We have developed a sticker system for identifying individuals that have been trained at the different levels. You might want to use your own system but we have adopted a simple Gold, Silver, Bronze scheme. These stickers can be obtained by clicking on the image below. It goes without saying that creating a culture to support positive mental health within your organisation needs senior management support. This is why we created the charter. The Building Mental Health Charter is a document that you can download, amend and have your senior management sign. This can then be displayed in a place of prominence to demonstrate management support. Sign the charter by clicking the image below. Once you have your Building Mental Health campaign up and running it is vitally important to keep it "fresh". Remember you are not alone in the journey to improve the mental health of our industry and there are many other companies passionate about making a difference. We have linked up with the Considerate Constructors Scheme and they have a dedicated section to put a spotlight on Mental Health. In this section you will find lots of ideas and information on this subject. 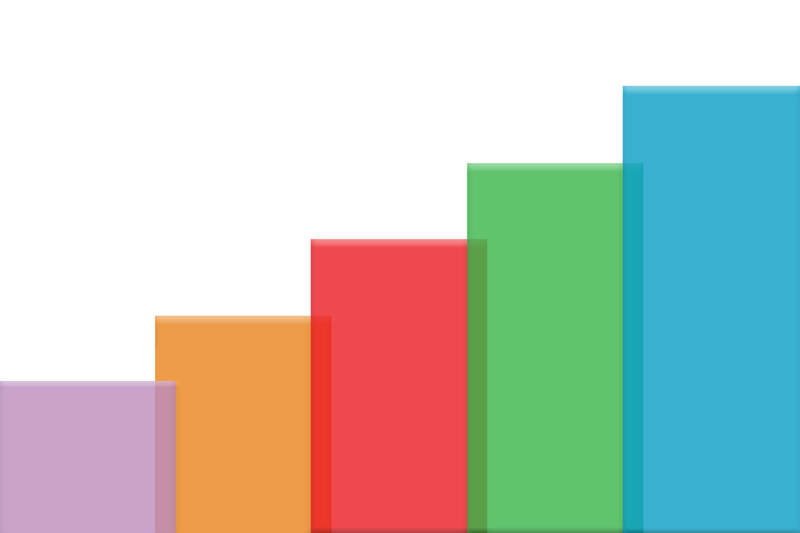 The contributors are other companies just like you in the construction industry so the content is very practical and easily implemented. 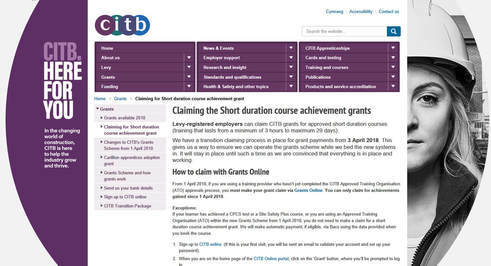 You too can contribute to this Best Practice Hub by registering at the Considerate Constructors Scheme. All of the above can be done by clicking the image below. Download the app for free on Android or IOS devices and find out more information by clicking the images below. If you’d like to use any of the videos below for your Toolbox Talk or to let your employees know where they can turn to for help, you can download them by pressing play, hovering over the video and pressing the download icon in the bottom right corner. 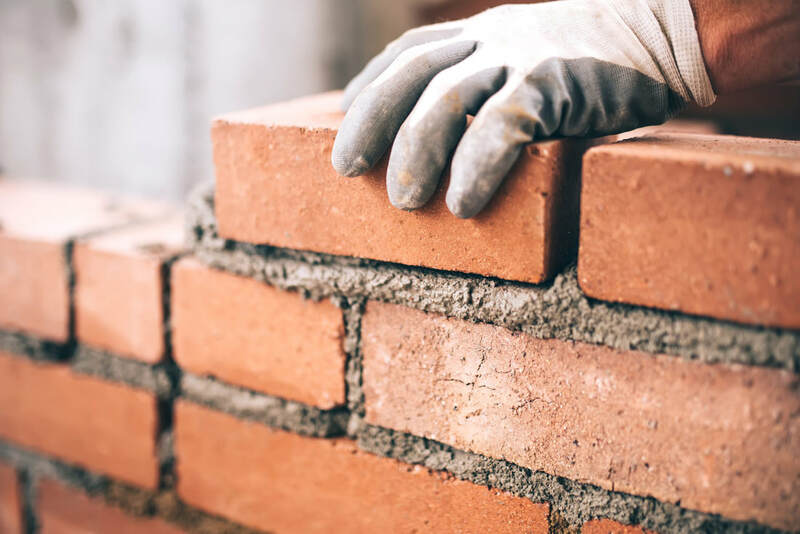 Find out more about the Construction Industry Helpline and new app, providing vital information, advice and guidance on many wellbeing topics including stress, anxiety, depression, anger and suicidal thoughts. Watch the video from Mace on starting the conversation in construction and helping to build a healthier, safer industry. Watch the video from Crossrail on spotting the signs of mental health issues in your colleagues and friends. Men in the construction industry are three times more likely to kill themselves than in any other line of work. ​Joe Media spoke to workers from Lendlease on-site about mental health. 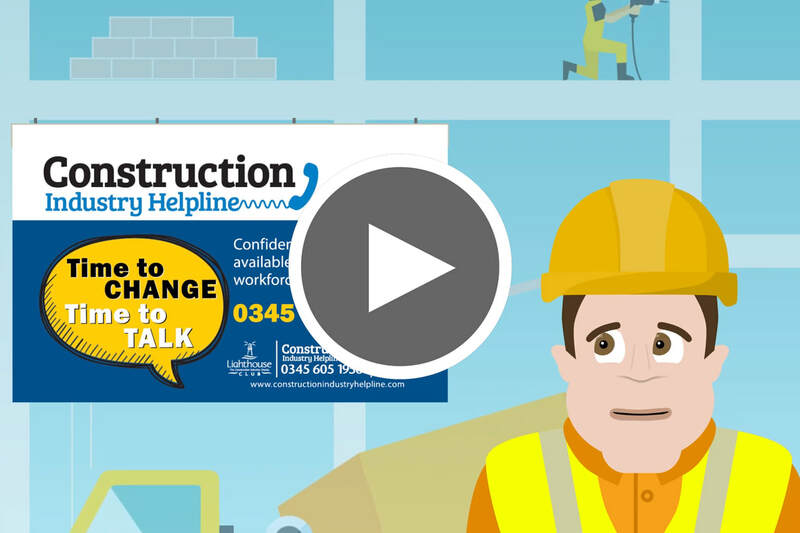 Watch this video for more information about the work we do within the construction industry to provide emotional, wellbeing and financial help to UK construction workers.